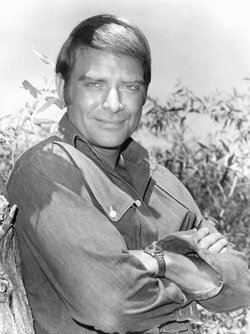 From Wikipedia: Ross Hagen (May 21, 1938 – May 7, 2011) was an American voice actor, actor, director, screenwriter and producer whose television acting credits included Daktari. His film credits included The Sidehackers in 1969 and The Hellcats in 1967. His video game credits included Red Dead Redemption and Undead Nightmare. Hagen was born Leland Lando Lilly in Williams, Arizona, on May 21, 1938. However, he was raised on an Oregon farm. Hagen and his first wife had two children, Bob Lilly and Julie Lilly-Beloit. He was married to his second wife, Claire Polan, an actress from 1963 until her death in 2003. Outside of acting, Hagen also served in the United States Army. 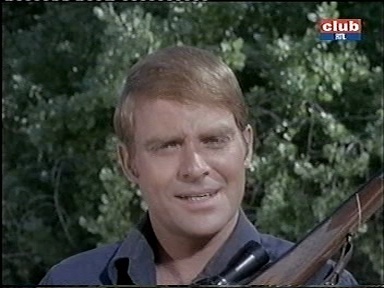 Hagen began his acting career during the 1960s. His early career included guest appearances on The Virginian and The Big Valley. He was cast in the CBS television series Daktari, in 1968. He portrayed a safari photographer named Bart Jason until the end of the show in 1969. Hagen’s other film credits included The Mini-Skirt Mob and Speedway in 1968. His other credits as a director and producer have included Reel Horror, The Media Madman and Time Wars. Before his death Ross, also provided the voice of Landon Ricketts, a retired gunslinger, in the video game Red Dead Redemption. He also starred in Dinosaur Island and Fugitive Rage, both directed by Fred Olen Ray. Ross Hagen died of prostate cancer at his home in Brentwood, Los Angeles, on May 7, 2011, at the age of 72. Here is a tribute to him with lots of extra information on the Tough and Gritty blog.